Melissa Carnes (left) with Annie and Sharon Fhonkwiler, with Sherman. HOLLYWOOD, Md. (January 10, 2019)—They are named Sherman and Annie and they've been chosen for the big event. Sherman and Annie are foster dogs with Sugar Faces Senior Dog Rescue of Southern Maryland. After auditioning in New York City, the pair will be seen on Animal Planet on Saturday, Feb. 2 at 8 p.m. on Dog Bowl, a one-hour special hosted by award-winning animal advocate, Jill Rappaport. Dog Bowl II is a lead in to the popular Puppy Bowl, which is now in its 15th year and features the cute and never predictable antics of puppies joyfully playing with balls. 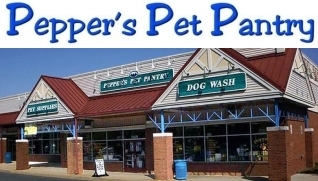 According to a press release from Animal Planet, "Sherman and Annie, of Sugar Faces Senior Dog Rescue, are two of 63 competing in Dog Bowl, where the dogs range in ages from 2-16 years old and there are a variety of breeds and mixed breeds represented including a cocker spaniel, pug, German shepherd, basset hound, Pomeranian, chihuahua, bulldog, Pekingese, boxer, American Es-kimo and many more!" 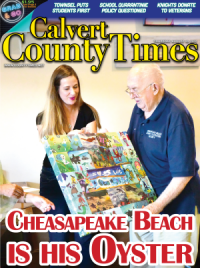 Sugar Faces was started by Melissa Carnes who observed a need in Southern Maryland for an organization concentrating on helping find homes for older dogs that are often harder to adopt. She started in animal rescue with the St. Mary's Animal Welfare League when she heard they were looking for help with intake for animals being transported from the area impacted by Hurricane Katrina. 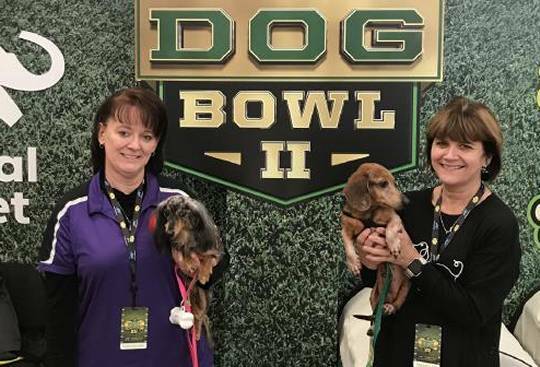 Annie, 13, and Sherman, 12, are adorable dachshunds who will be on display during Dog Bowl and who are available for adoption. It's the chance to have a star in your own home. Carnes said her organization was contacted by Animal Planet last summer and were invited to come to New York to audition for the show. Sugar Faces volunteers paid their own way. They were selected, and the show was filmed in October, Carnes told The County Times. Carnes views their participation as a way to tell a wider audience about the benefits of adopting an older dog. Information about the four-legged participants in Dog Bowl will be shown on the screen throughout the show. Not to be outdone by the football competition, the Puppy Bowl will feature two teams, this year with brand new names: Team Goldies and Team Oldies. This year's halftime show will feature DC Humane Alliance's 'Barktoberfest' with senior wiener dog races and Jill Rappaport reporting on amazing dog adoption stories. For more information on Sugar Faces Senior Dog Rescue, please visit www.sugarfacesrescue.org. 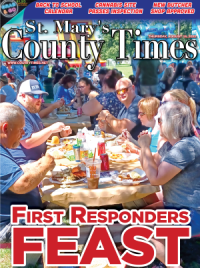 For more local stories from the County Times newspapers, visit https://countytimes.somd.com or find a copy on local news stands.